I’ve been feeling a little under the weather this week. My daughter caught a cold from one of her little friends and now the whole family is sick. It always feels so good to take a nice hot bath when you aren’t feeling well. We have a hot tub that we use regularly but you can’t put bubble bath or salts in a hot tub. 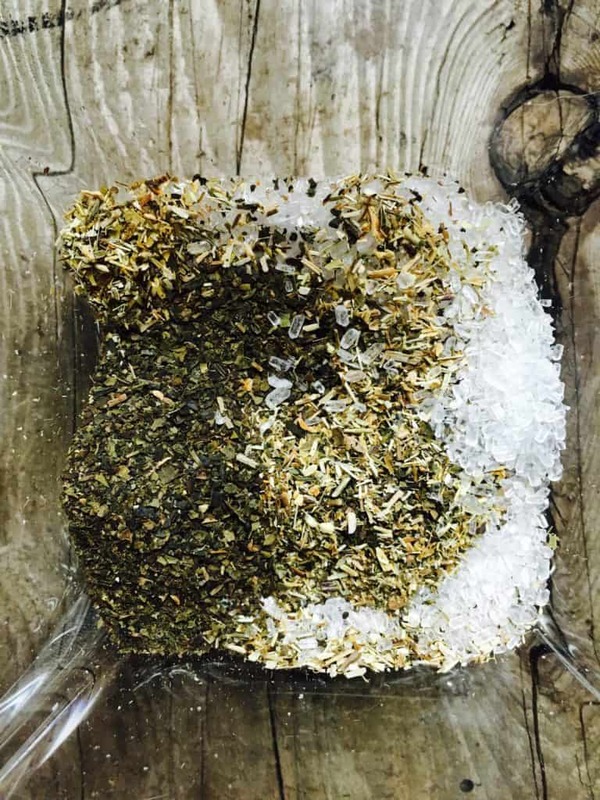 I came up with this bath soak recipe that smells amazing and feels wonderful. Green tea is pretty much the healthiest thing you can drink. It is full of antioxidants and can help prevent cancer, help speed up your metabolism and improve brain function. Obviously you aren’t going to drink your bath water but you skin is the body’s largest organ and it will soak up anything you place on it. Chamomile is a well-known for its ability to help you relax and sleep. It can also help soothe irritated skin. Adding Epsom salt to your bath will help sore muscles. Epsom salt contains magnesium. Magnesium is an essential nutrient that many people are lacking. Epsom salt baths are a great way to absorb magnesium and help your achy muscles. Lavender essential oil is know to help people relax and fall asleep. It also has antiseptic and anti-inflammatory properties. It can help to soothe many irritating skin conditions. 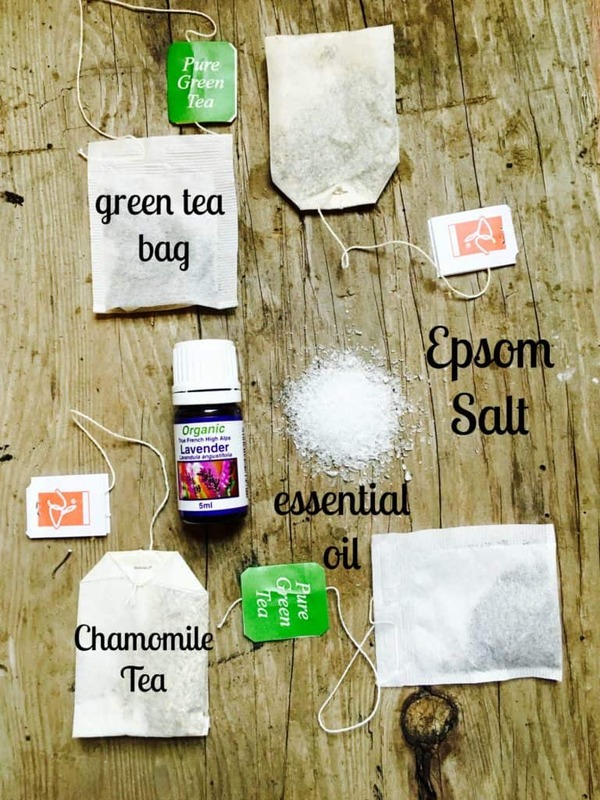 Cut open the tea bags and pour the contents into a dish along with the Epsom salts and essential oil. Stir together until well mixed. Store in an airtight container such as a mason jar until you are ready to use. To use: Pour the entire mixture of the bath soak into a full hot bath or if you just want to soak your feet. Add 2 tablespoon into a basin of hot water. Now lay back and relax. Just a heads up: you may have to rinse off some of the loose tea bits after you are done your bath. 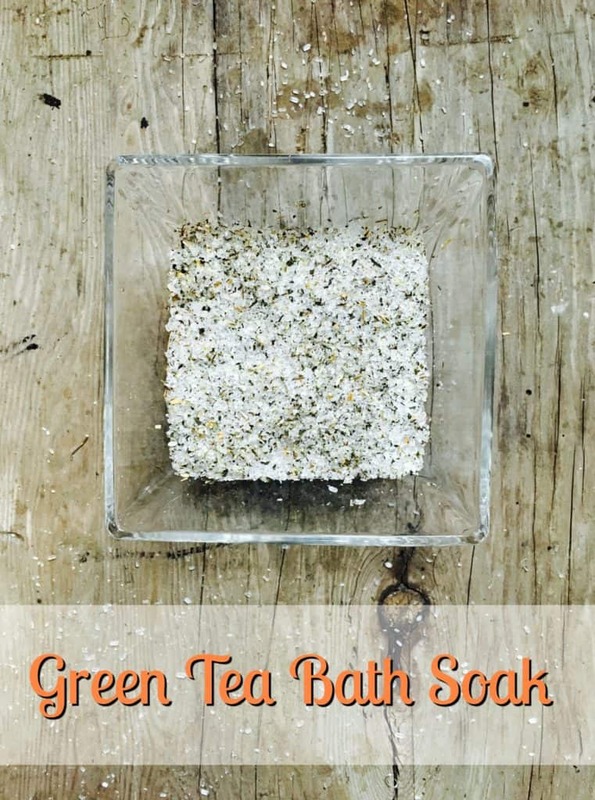 If make this recipe right before you hop in the bath you can stick the tea bags in whole without cutting them open and then sprinkle in the Epsom salts and lavender oil . How do you like to relax when you are feeling sick?